Arriving at the Mess, the entrance is transformed in to a tunnel with Black Star Cloths giving the illusion of a Rabbit Hole. At the end of the tunnel is a sign, This Way, That Way, Wrong Way. 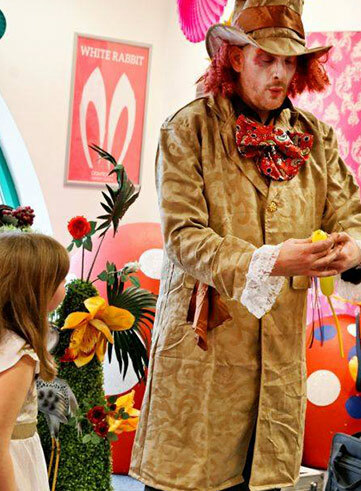 A man-sized rabbit, holding a pocket watch sculptured from balloons is waiting for your guests to arrive. As your guests make their way through to the dining room they are amazed once again by the Inside Out Room. Tables dressed for dinner with oversized teacups and place mats displaying a clock turning backwards. Brightly coloured serviettes – yellows, greens and pinks are scrunched together in wine glasses giving an informal relaxed tea-party atmosphere. Pink Flamingo Statues stand proudly on the tables with their necks stretched across the room. Eat Me, Drink Me, This Way, That Way… The atmosphere is captured and savored by all your guests. The sounds of screaming and laughter take guests through the tunnel back in to the late evening where a funfair with bumper cars, flashing lights and loud music offer another adventure as each turn of the Ferris Wheel take guests on their journey through The Looking Glass. 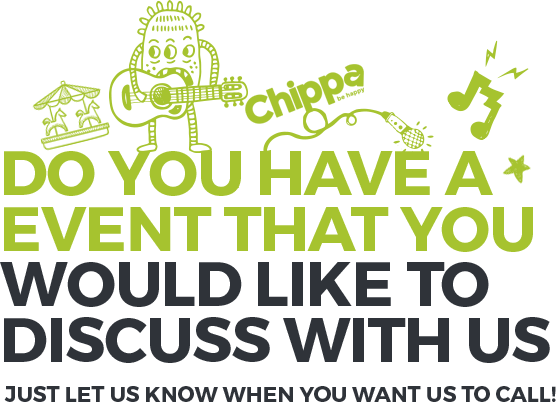 Hire the UK's best live music & entertainment at Chippa! 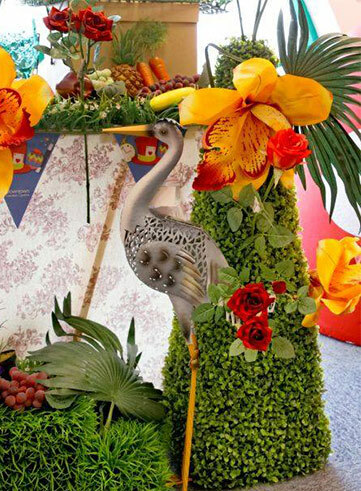 Function Bands, Musicians, Circus Performers & Party Themes for Weddings & Corporate Events.